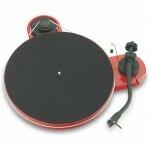 The original Pro-Ject Debut was released in the late 1990’s during a time when CD was king, and the vinyl format was presumed to be all but gone. 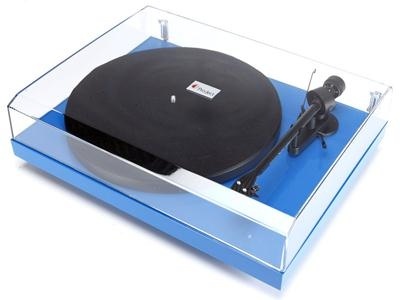 But well over a decade later the model still stands, symbolising all that is good about the vinyl market; it is easy to set-up and fantastic to listen to, with the right mixture of user-friendliness and opportunity to tweak and upgrade. 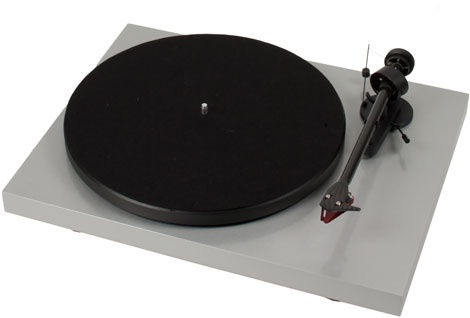 The Debut Carbon DC has a 8.6″ carbon fibre tonearm, 12″ platter and rear-mounted junction box. The new motor isolation system also utilises a wholly unique rubber compound developed exclusively by Ortofon A/S to offer dramatically reduced resonance transference from the high-quality 230V motor the turntable employs. 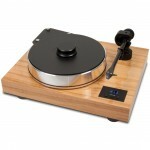 The Debut Carbon DC is a turntable package that offers an excellent sound experience at a competitive price. 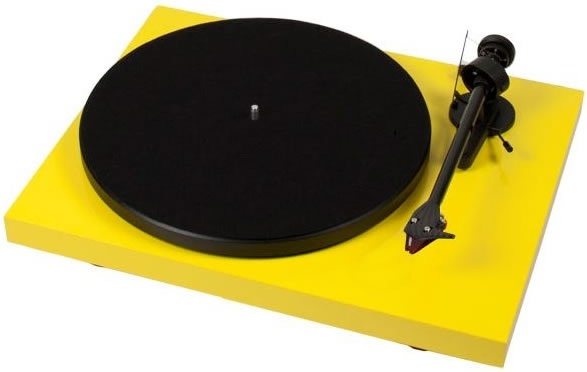 Not only is the Debut Carbon available in the gloss black finish as standard, but for the same cost you can also choose to have a statement-making red, black, blue, green, yellow, white or light grey gloss finish. 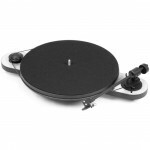 • 8.6″ one-piece carbon fibre tonearm, adding stiffness and reducing resonance around the pick-up cartridge (rarely found on budget turntables, due to high production costs). 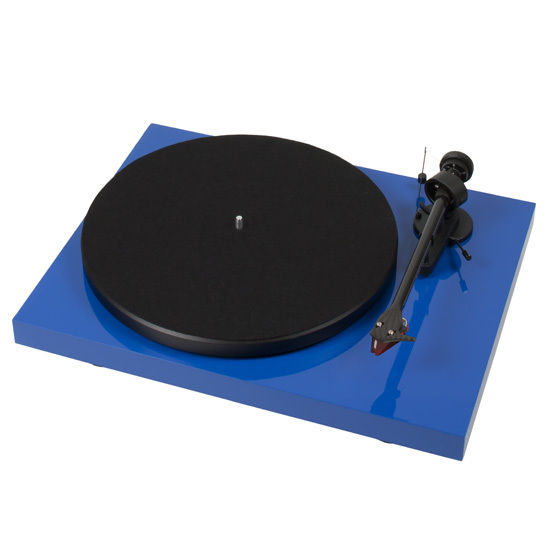 • High-quality counterweight – helping further reduce unwanted resonance. 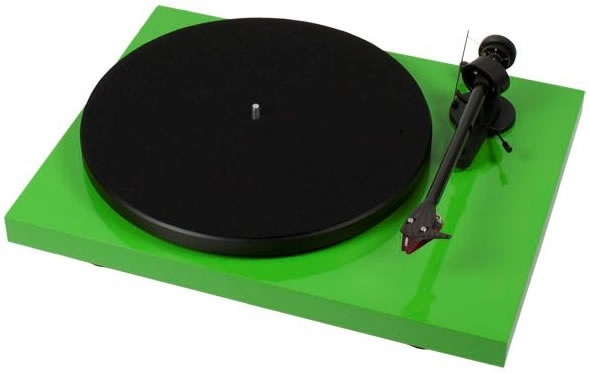 • Two isolation ‘feet’ made especially by Ortofon A/S, used to decouple the motor from the plinth. • Junction box installed, allowing for the easy upgrade of turntable interconnects. • Factory-fitted Ortofon 2m Red. 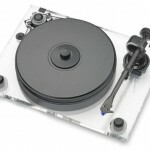 • Various gloss-coloured finishes available.